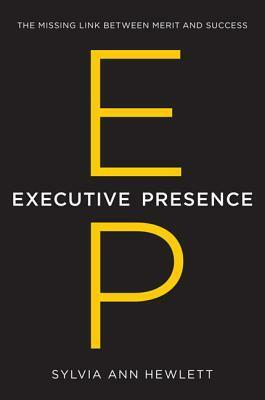 Executive Presence: Do You Need It? Do You Have It? We would all like to believe that if we work hard, do our best, and keep at it, success will inevitably follow, but often this is not the case. One look at the lack of diversity in corporate America suggests that certain demographics are being left behind on the corporate ladder, and in an effort to understand why this is happening, the Center for Talent Innovation undertook a nation-wide survey to examine the factors that are key to career success. The results were illuminating, and form the basis for a new book titled Executive Presence: The Missing Link Between Merit and Success by Sylvia Ann Hewlett. Released earlier this month, Executive Presence argues that while merit and qualifications are important, they will only get you so far in your career. For that extra push, you need Executive Presence. Gravitas: How you act is vitally important, and in order to attain Executive Presence, you must exude confidence and poise, remain calm under pressure, and be able to prove your knowledge and expertise on the subject at hand. Communication: Equally important is how you communicate your knowledge and abilities through the use of authoritarian tones, clear and focused language, eye contact, and a firm handshake. Appearance: While the study found that appearance had the least impact on perceived leadership, survey respondents still reported that major mistakes in appearance and attire can be detrimental to a person’s career, with unkempt personal grooming and provocative or ill-fitting clothing often cited as examples. Once put together, these components create a dynamic mix of qualities that create Executive Presence. While some of the points listed may seem fairly obvious, a whooping 81% of women surveyed reported being unclear about how to attain Executive Presence, saying that the feedback they have received in the past is often contradictory and/or confusing. However, it is not just women who struggle, and everyone can benefit from the strategies outlined in this book, which include guidelines for how to remain likeable while being strong and forceful in your leadership, how to solicit honest feedback from your higher ups, how to strengthen your speaking skills to be as concise and compelling as possible, and how to maintain your authenticity while trying to fit in. The last point was a big one for me being one of the few women on the trading floor of Goldman Sachs. I have personally known Sylvia for over a decade, and I was honored to serve on the board of The Center for Talent Innovation prior to moving to Utah. I can tell you from experience that Sylvia radiates Executive Presence and is therefore the perfect person to be writing this book. I am always asked to share career advice and though I certainly have tips of my own, few people have done the research that Sylvia and her team have. When this woman speaks, I listen. Sylvia’s prior works include Forget A Mentor, Find A Sponsor: The New Way to Fast-Track Your Career and Off-Ramps and On-Ramps: Keeping Talented Women on the Road to Success, but she is best known for her first book, Creating a Life: What Every Women Needs To Know About Having a Baby and a Career, which I give to every young women seeking advice on how to navigate family and career. I would highly suggest adding all of the above to your summer reading list. Next Post Giving USA Report – Just Out!